I have started watching PRO KABADDI on Star Gold these days and I have to say this is one of the most amazing thing done. Firstly because it is a great sport to watch, secondly it promotes an Indian sport that was falling behind by a hell lot and third and most important for the sheer thrill of a match of Kabaddi. It gets more and more interesting with each and every minute passing by. The thrill and the way game turns every minute with every raid is inexplicable. The game is of 40 minutes with half time at 20. They have got some new rules which makes it more interesting like a raider can’t make 3 empty raids, in case he does he will be out for a while. Interestingly they promoted the event well and that also got people’s attention and the result is there on Star Gold at 7:45 pm. It is a li’l disheartening though that this league is not getting as much attention in Media as it should but it is a remarkable start nonetheless. Also I would want to congratulate all the people involved in bringing this cool sport on National TV. So for the first time a sport other than Cricket will be noticed by people of the country. And importantly the some great Kabaddi players who were earlier non-existent will be known to Indians. Crowdsourcing ideas that would improve governance is a great idea, ain’t it? So in a country where everyone wants to participate in discussions on governance and everyone has an idea to improve social, political and economical growth of the country, a platform to facilitate that will be something people will love more than anything. And guess what Indian Government has launched something on the very similar lines. 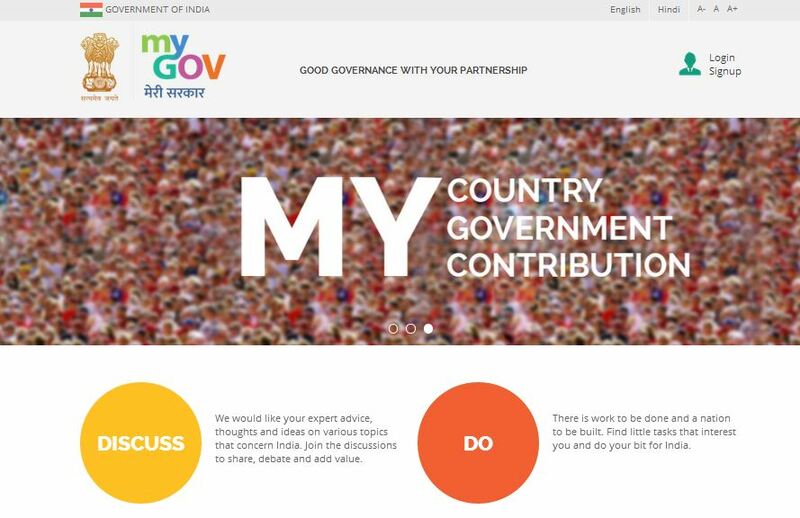 PM Narendra Modi on Saturday launched Mygov, an interactive website that seeks to foster participatory governance. It is a great initiative. Of course it would have been better to have something a lot earlier but it is better late than never. There are so many people who want to contribute towards nation-building, and devote their time and energy. The only thing they required was an opportunity to shine and showcase their contribution. Now outlook of this website is good and it has two threads Discuss and Do. Now you can chip in your ideas for a better nation, on how things can be improved, how problems faced by nation can be resolved. The ideas presented will be taken further by discussion forums and worked upon based on their feasibility. You can participate in the work to be done or being done. Citizens can volunteer for various tasks and submit their entries. These tasks would then be reviewed by other members and experts. Approved task would earn credit points for completing the task. So all the folks who have been saying all they need is an opportunity, here is the platform. Now it is up to people to make this project a success or failure, I would want to see this as a success from Government of India to introduce more transparency. I expect people to differ from my views though I would request everyone to signup, it doesn’t take more than a minute and do whatever you can, discuss, raise concerns, chip in your ideas or help other ideas flourish. Do all you can because this time it is one platform you have been asking and now you have got. No further excuses please. Try to make it a success before condemning and start complaining about it. Ridiculing achievers be it Sarthak Agarwal or Gaurav Agarwal won’t bring any good to you, so please stop! I miss the time when we used to admire the achievements and achievers. I do not understand what is wrong with the new ALL-TIME-ONLINE junta out there. First I saw people ridiculing Sarthak Agarwal, the Class 12 CBSE topper who got 99.6% marks. First thing first, Congratulations dude!! We are proud of you!! Now he did something which most of the people will not achieve even if they are given a 1000 chances or even if we let them write their exam even with an open book. So instead of understanding that and asking kids to admire him and find a role model or atleast congratulate him, what we do ….. we ridicule him. Well that is something great ain’t it? C’mon folks he is what 17 or 18 or 19(max) and you are making trolls about him, did you for once thought how is it going to affect him. Probably not coz had you thought of it you would not dare do that. Now today I saw a useless post on my facebook page which take about Gaurav Agarwal, who holds Bachelor of Technology (Computer Science) degree from Indian Institute of Technology (IIT), Kanpur, and a Post Graduate Diploma in Management from Indian Institute of Management (IIM) Lucknow and now has topped the prestigious examination of IAS. Now lemme tell you an amazing fact: For the first time in four years, a male candidate topped the prestigious examination who by the way is Gaurav. So he deserves some applause and not some sick and third class jokes. I understand that they are overachievers and everyone[parents, aunties, teachers and god-knows-who] around you compare with them every now and then to make you feel bad about you but giving low standard comments and making abusive memes are not going to help anyways. Internet can be used for other things, don’t be another angry kid sitting in his dorm and abusing whosoever the kid doesn’t like. Be a sport not hypocrite!! There are few things which go unheard or less heard of this is one of those stories. There is a man Dr. Pradip Sarmah from Assam who did something which can change life of 8 million underprivileged rickshaw pullers. How? Looking at the plight of rickshaw pullers in India he decided to start a bank which will support these people and help them to get their own rickshaw and get a better one too. He founded Rickshaw Bank, an NGO that provides micro-finance to Indian rickshaw drivers. This is a great innovation and can help so many of the underprivileged than we can probably think of. So next time you feel bad for that poor Rickshaw-wala, just tell him about it. NASSCOM is 25 years old and they have paid tribute to the man who revolutionized the IT industry in India. The man who showed how people can be benefited from technology. Dewang was the head of NASSCOM from 1991 to 2001, he collaborated with various government and non-government organization to unlock the power tapped in this sector. I agree to the message that basic need should be extended from ROTI, KAPDA, MAKAAN to BIJLI and BANDWIDTH as well. Today IT is a $110bn industry, who would have thought a crazy idea like that will create such a huge difference. This 18 year old girl has designed a super capacitor which can charge a mobile phone battery in a minute. She was awarded by Intel as “Intel Foundation Young Scientist Award”. What she has accomplished is marvelous and can change the future of energy sources. It is great to see a woman of her caliber and how she is contributing to a better world. Who says there are no selfless acts/motives in people anymore. There are some who are others absolutely. I am talking about Dobri Dobrev this guy honestly deserve some space here. How and why? So lemme introduce you to a 99 year old beggar of Bulgaria, who walks several kilometers everyday to sit or stand in front the Cathedral of Alexander Nevsky in Sofia to beg for money. What’s so special about that, eh? This man donates every single penny he gets to Orphanages and Charities. How much did you donate last year? He lost almost all his hearing in second world war in one of the bombings in Bulgarian capital Sofia. In year 2000 he donated all he had to the betterment of society and cut his relations with materialism. He lives in a evry modest place on his 80 euro pension. The kind of example that he gives with his asceticism that led many to call him “The saint of Baylovo”. 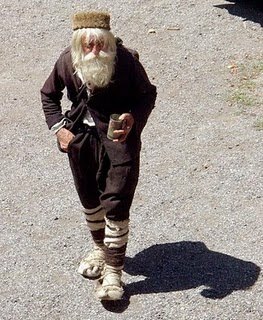 Others call him “Dyodo Dobri” as in Grandpa Dobri with love. Now that is a life worthy of respect and truly a selfless one. 20 July 2014, he will turn 100 but guess what no one will care for that, will we? 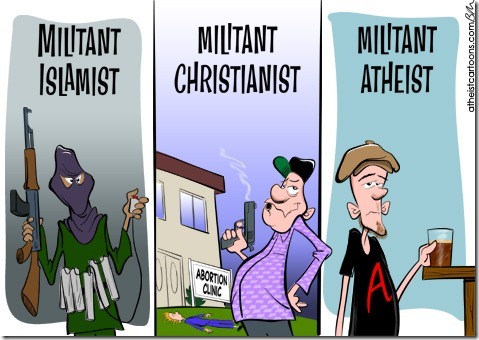 Why saying an atheist is a terrorist is absolutely wrong? “Saudi Arabia declares all atheists are terrorists in new law” It was reported a couple of days back. I like getting news, I like to be informed and I generally don’t criticize most of the news I get. But this news is ridiculous, the reason behind this royal decree is to crack down on political dissidents, but for that you can’t declare a belief to be terror provoking. Statistically speaking terrorism has majorly been in the name of religion. And since atheists do not believe in god they do not kill people to prove that their GOD is better than someone else’. More people have been killed in the name of religion than any other thing, I mean Crucifications, mass executions, torturing people who spoke against church, throwing stones on prostitutes and thieves till they died have all been done because people went against one GOD. I have observed that atheists are generally peaceful people, they do not argue to prove superiority of their god or they do not want to fight for such stupid reason. Declaring them as terrorist does not make any sense in any fair universe. In a perfect world Atheism or Agnosticism will be the most followed ways and not the religious ones because the latter(religion) leads to only chaos. It indeed is disappointing to get any news as stupid as this one.